Chiropractic - Welcome to Back On Track! Chiropractic care involves an approach to health care that includes patient assessment, diagnosis and treatment. At Back On Track, we assess patients for disorders and dysfunctions related to the spine, pelvis, extremity joints, and their effect on the neuromusculoskeletal system as a whole. As a result of taking a physical assessment and patient history, we will be able to provide a differential diagnosis for your presenting condition(s) and develop a comprehensive treatment/management plan which may include, but not me limited to, manual therapy, non-manual instrumented techniques, exercise and rehabilitation. 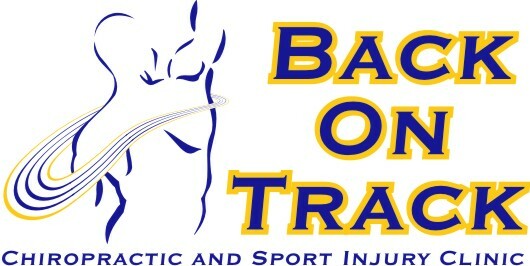 At Back On Track, we adapt our therapeutic procedures to meet the specific needs of each patient. For example, our techniques are modified when treating children, pregnant women and older patients. Patients typically note positive changes in their symptoms immediately following treatment. The vast majority of patients who seek chiropractic health care do so for complaints of the musculoskeletal system, most often for conditions affecting the spine such as low back pain, neck pain and headaches and research studies have demonstrated that chiropractic treatment is effective for these conditions. In many cases, such as lower back pain, chiropractic care may be the primary method of treatment. Where other medical conditions exist, however, chiropractic care may complement or support medical treatment by relieving the musculoskeletal aspects associated with the condition. One of the biggest distinguishing features of your care at Back On Track is our foundational belief in MOVEMENT. Whether you are suffering from pain or are seeking guidance for injury prevention, you will be provided with an individualized program of graded and corrective exercise. …and that is our commitment to you! Sport Chiropractic is a specialization of care that involves the prevention and management of athletic injuries, as well as performance enhancement. Through an in-depth postural, movement and load examination, potential risk factors for injuries may be quickly revealed. These risk factors may not present with normal training but do have the potential to cause serious harm during competition. Regular screening and preventative exercise are key strategies that may prevent unwanted injuries. Sport Chiropractic integrates traditional manual therapy with contemporary rehabilitative strategies in managing both acute and chronic athletic injuries. The human body is capable of performing amazing things when in optimal function. Joints that are free from restrictions, muscles that shorten and lengthen with ease and strength, and nerves that move freely enable you to give your best in whatever sport you participate in.